Jockey Ethan Brown rides Mantastic to victory at Caulfield Racecourse. After three consecutive second placings to start his Australian career, imported galloper Mantastic has broken through for a win at Caulfield. The Darren Weir-trained Mantastic was sent out the $2.80 favourite in Saturday’s Mypunter.com Handicap (1600m) and didn’t disappoint, racing to a one-length victory under Melbourne’s leading apprentice Ethan Brown. Mantastic started his racing career in France where he had two placings and a win from three starts before being imported to Australia. Managing owner Terry Henderson, from syndicator OTI Racing, said Mantastic was still a work in progress but was delighted to see the lightly-raced gelding register his first win in Australia. “I think he’s got a pretty good future,” Henderson said. Mantastic, who was dropping back to benchmark-78 grade after contesting a benchmark-90 last start, covered ground during the run from a wide draw but was able to keep building momentum approaching the home turn. 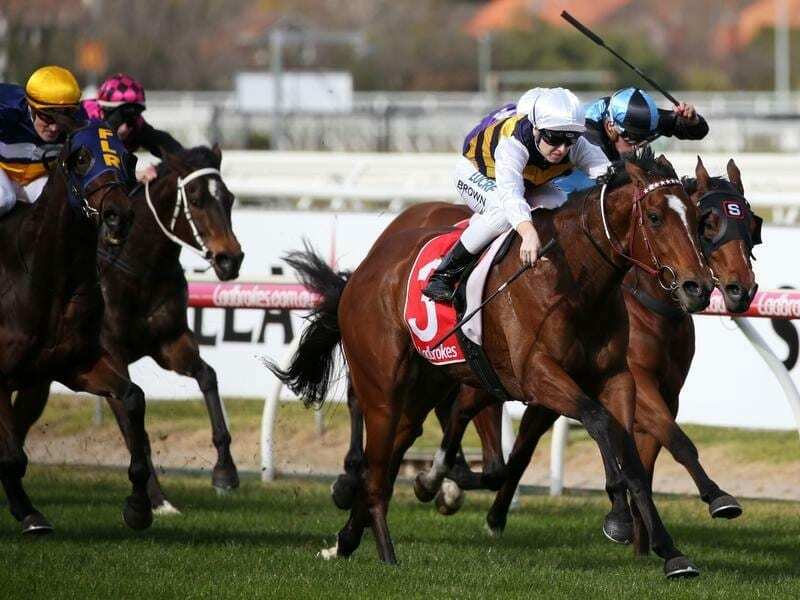 He hit the front passing the 200m and opened a winning break, with The Passage running home into second with Kaching another three quarters of a length away third. “He was pretty impressive,” Brown said. “I knew I was on the best horse in the race. He faced the breeze the whole way but he really knuckled down in the straight and he ran through the line well.